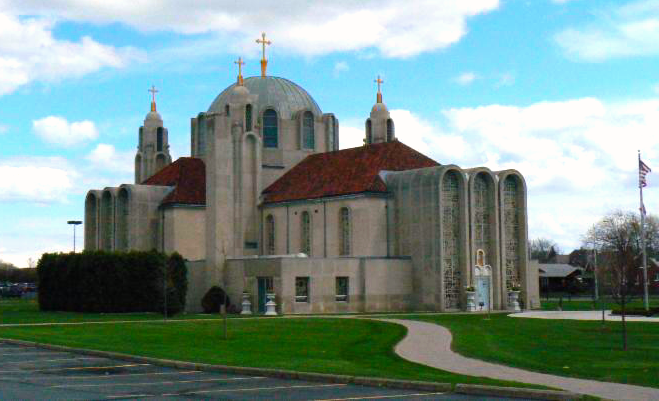 On the fourth Sunday after Pentecost, Sunday, June 24, 2018, the St. Lazarus the Great Martyr Church in Detroit celebrated their temple Feast with the Holy Hierarchical Divine Liturgy. Officiating was His Grace Bishop Longin of New Gracanica and Midwestern America, concelebrated by the parish priest V. Rev. Stavrophor Zivan Urosev, the dean of the Detroit Deanery, V. Rev. 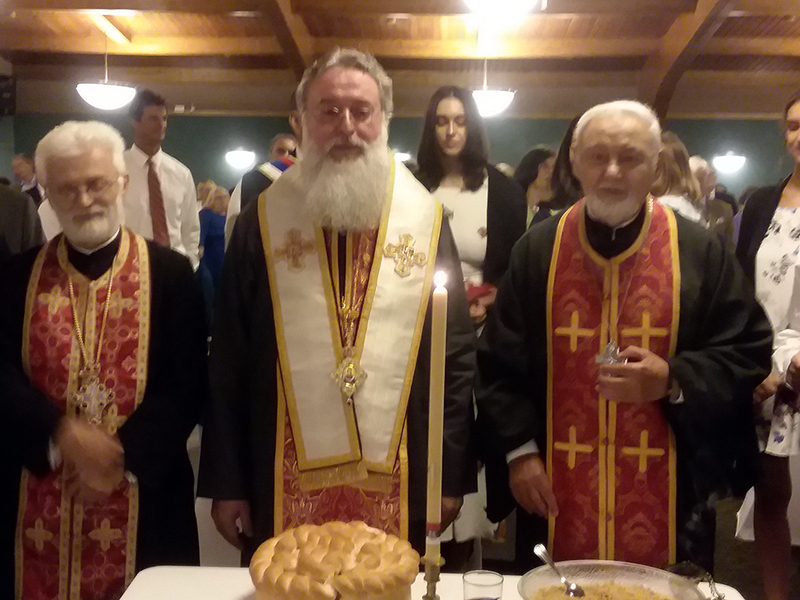 Stavrophor Miosav Djindjilov, retired priest from St. George in Monroe and Protodeacon Milovan Gogic. 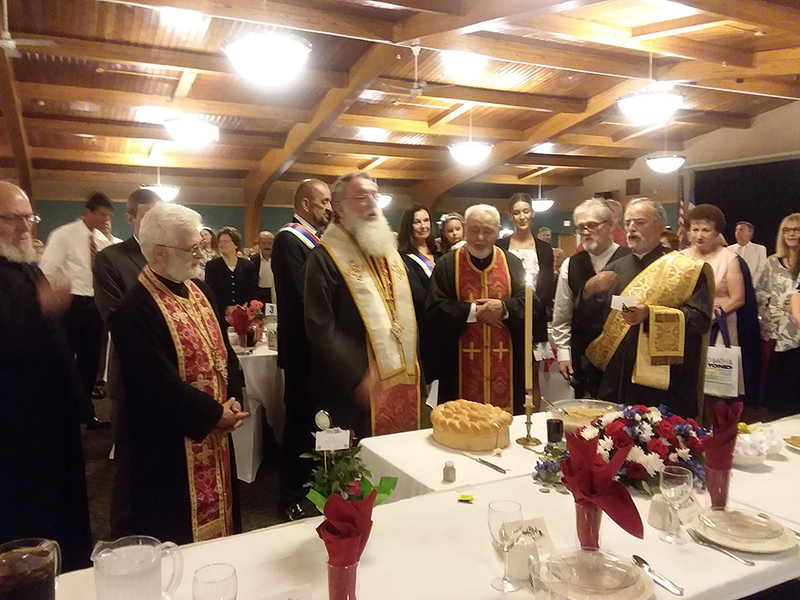 Following the Divine Liturgy the agape meal began with Bishop Longin blessing the Slava kolach and wheat, prepared by this year’s kumovi Michael and Pamela Reshetar. During the liturgy and the Slava ritual the church choir, Ravanica, beautifully sang the responses. Taking part in the banquet, besides the mentioned clergy, were V. Rev. Stavrophor Srboljub Jockovich, V. Rev. Stavrophor Radisa Ninkovic and Fr. Jeromy Neskvick. 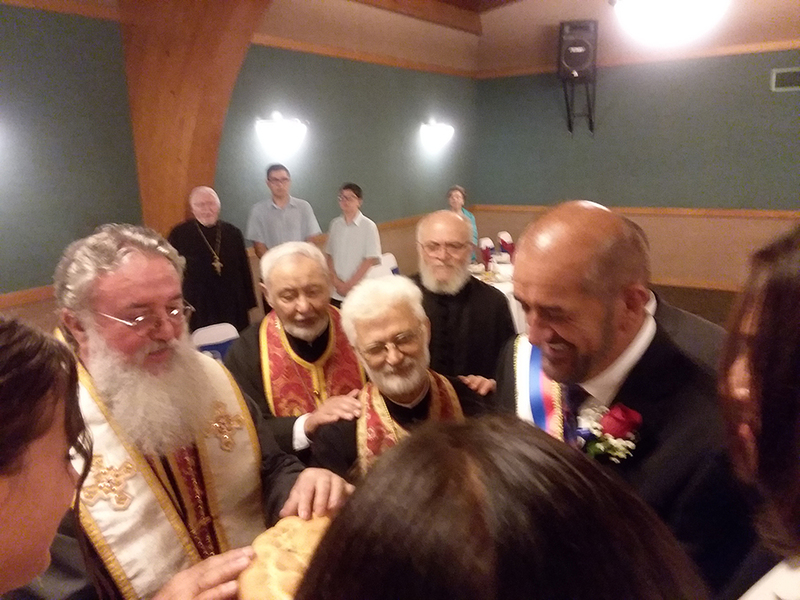 His Grace, in his remarks during the banquet, spoke about the feast of Vidovdan connecting it theologically with all those who suffered martyrdom, giving their lives for their country and people, from the time of the Battle of Kosovo to this day. Wishing everyone a happy feast day and Krsna Slava, the bishop noted that St. Lazar is a central figure in our history shining to this day as an example to us all of one who choose that which is eternal, the Heavenly Kingdom. St. Tsar Lazar visits Kosovo even to this day, defending those who live there as well as those who go there to celebrate his name…. The bishop congratulated Fr. Zivan who is celebrating his thirtieth church Slava in Ravanica, praising him for his love for his parishioners. The church school children also congratulated Fr. Zivan on his anniversary. Afterwards, all the parish organizations expressed their congratulations on the occasion of this year’s Slava celebration. Fr. Zivan called upon Martin and Karen Todorov as kumovi for next year’s Slava celebration, giving them a part of the Slava kolach thereby symbolically transmitting this role to them. He especially thanked Bishop Longin for this pastoral care and blessing. A portion of the relics of the Great Martyr St. Tzar Lazar are found in this church which is considered the third Ravanica.